This generates items for the Dungeons and Dragons 3.5 system. One can generate treasure or individual items such as coins, goods, weapons, armor, and magical items. This generates encounters for the Dungeons and Dragons 3.5 system. One can generate encounters of particular levels, times of day, and environments. One can also filter creature types. Treasure and equipment are generated. Library of common functions that can be used across many applications. 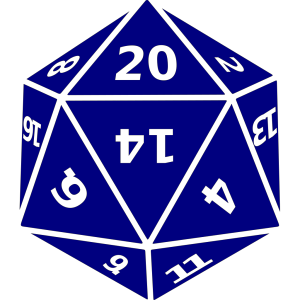 This library is part of the D20 Tek suite of tools. This is an event logger that manages events based on client IDs, able to transcend multiple threads. React Dnd (react-dnd) binding library for Bridge.NET projects. React Dnd Touch Backend (react-dnd-touch-backend) binding library for Bridge.NET projects. React Dnd Test Backend (react-dnd-test-backend) binding library for Bridge.NET projects. React Dnd Html5 Backend (react-dnd-html5-backend) binding library for Bridge.NET projects.